Black Friday really has become a thing, hasn’t it! We sometimes wonder if we’re the only ones not into it. The adverts are everywhere online, and there are even people now scanning websites to find you the very blackest of Black Friday deals. Now, there’s no denying that we live in difficult times, and people have had to ensure years of austerity. So, what’s wrong with looking for a bargain? Black Friday, it seems, puts consumers into full-out hunting mode. They're alert, focused, and ready to pounce on every amazing deal they set their sights on (and anyone who gets in their way). Manic shoppers, indulging in this materialistic practice, help to increase sales for struggling businesses, don’t they? And yet, there are many who feel that the country would probably be a lot better off without the Black Friday tradition. So, what’s wrong with a splurge of consumerism? First off, it can be dangerous. Too many shoppers make for crazed crowds, too eager to get popular items. They’re prepared to go to great lengths to get them, too. Some years ago now, a Way-Mart employee was killed in a Black Friday stampede. Shopping rage has become a thing, too. Crowded stores and long lines can turn the calmest people into terrifying lunatics. Throw in the scramble for a good deal, and any store can turn into a mob scene or break out into fights. Perhaps in response to such concerns, we now have Cyber Monday, a far more civil practice. It requires no camping out in lines for hours, no shoving people out of the way for the last TV, and no scary mob mentality. You can shop for discounted goods from the comfort of your own home, and though some of the deals from Black Friday might be sold out, many sites offer better or different specials on Cyber Monday. Many of the deals are also extended beyond the one Monday so shoppers have more time to save and less stress, too. Some of the best deals you'll find during Black Friday are on electrical items such as TVs and laptops, kitchen appliances, and clothing. The only problem is that they typically aren't brands you’d consider buying any other time of the year. They’re often not the top-of-the-line brands you dream about. The prices are cheap, but the products often are, too. Kitchen appliances on sale are often more poorly made than the full-price versions and are items you won't use frequently. In terms of clothing, there's a reason you hear the most Black Friday chatter from bargain stores; expensive stores that carry name brands don't offer many discounts. You'll be buying items on sale that were cheaper to begin with. It’s all too easy to get sucked into thinking you’re getting an amazing deal! Retailers have purposely low supplies on those hot ticket items, as a way to lure in customers with false promises, a practice that wouldn't be acceptable any other day of the year. If you can save hundreds of pounds on an expensive TV, you’ll take on the crowds to get it. However, with deliberately low stock levels, maybe as few as three or four, and huge crowds expected, you may well miss out. Black Friday encourages overspending. It kind of defeats the purpose of trying to save money by shopping the Black Friday sales when you actually end up making a lot of impulse buys. Most individuals aren’t strategic about it, and the deals they stumble upon can be too enticing to pass up. The problem with these impulse buys is that you don't always know if they're actually good deals or not. You haven't compared prices, read reviews, or thought about whether you really want the item. Even though these products are on sale, too many impulse buys will really add up, especially if you're buying some big-ticket items. The stores themselves may be pushed into the black by all the purchases, but it’s hardly helping the country if all the shoppers are going into debt! So, is Black Friday unstoppable? It’s interesting to note that the luxury industry—whether that is fashion or travel—is growing in the direction of sustainability. It’s no longer the primary goal of luxury goods and services to be about quantity. Instead, retailers, manufacturers, and companies want to focus on economic and cultural sustainability, encouraging consumers to invest in more expensive items or experiences and support brands that are responsible with their business practices. Furthermore, if we begin to change the language, replacing consumers with citizens, then there is growing evidence that people are concerned about over-consumption and its environmental and social impact. Brands with purpose are now asking, “What can I do for my clients?” instead of, “What can our clients buy from us?” - that’s very definitely not Black Friday thinking. Satisfied customers are the best sales tam any business can ask for. Much of the growth of your business is in what others say about you. If your people are delighted with you, your service, and the quality of your work, they will justify your price. You should want a customer to walk away saying, “We’ve never been treated like that by a company before.” And the reality is, that requires quality work over quantity work. You can’t have a Black Friday mentality and still achieve the same high standards of work. (2) adopt a less is more approach: do you really need that new pair of shoes? Is it really necessary to upgrade your smartphone again? Is there a better low-consumption alternative? (9) Take back control of your money: where our money goes is what it’s all about, so banking, savings and investments play an important part in consuming ethically. Unethical banks often invest in unethical projects such as nuclear weapons manufacture or fracking. By banking with ethical institutions you can be more sure that your money is going to fund projects that benefit society. 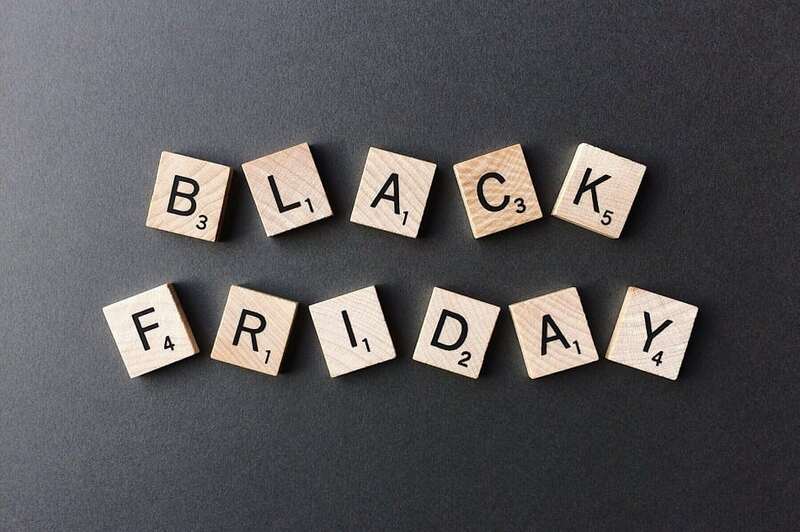 Let’s turn Black Friday into Green, ethical Friday! Newer PostIt's their future - let them speak!